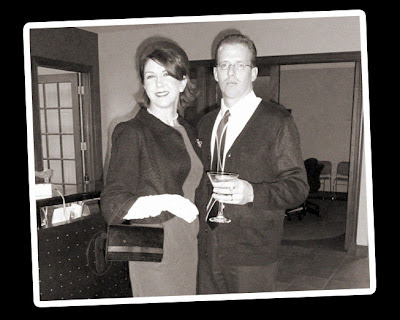 In the spirit of the oh-so-popular series Mad Men, many of my cohorts in the Bismarck office donned polyester and drank martinis (man, to be in advertising in the 60s) to celebrate the Halloween festivities today. Check out Marnie and Paul...love it!! advertising, an ego-driven world where key players make an art of the sell.